Now available on all new laboratory autoclaves and research grade sterilisers leaving the Priorclave production where a printer is required will benefit from the inclusion of a new thermal printer. It offers significant improvements such a better print clarity, there is an option to have data from the sterilising processing cycle print-out once the cycle ends and paper roll change is much easier. 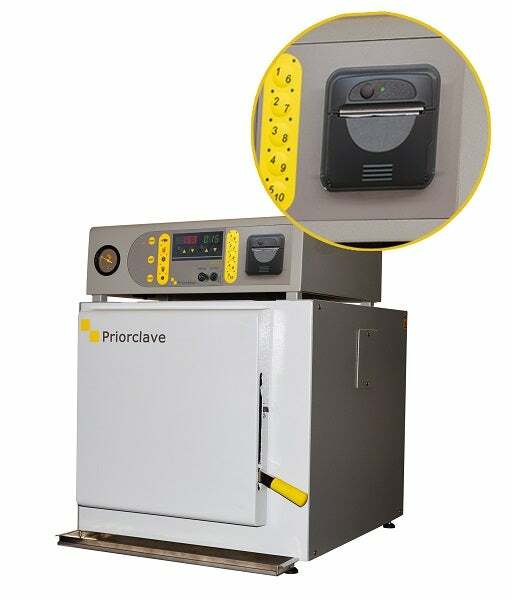 The new thermal printer will be rolled out across the entire Priorclave range of laboratory autoclaves such as benchtop, top-loading and all front-loading designs, including those with cylindrical and rectangular chambers, double-door models and stackable units. Sale director Lee Oakley says: "The new enhancement is the first of a number changes expected to be announce by Priorclave during 2017, enhancements that will improve the customer experience of working with a Priorclave autoclave."